Raymond W. Thompson- of Woburn, November 23rd, at the age of ninety. Beloved husband of 70 years to Anne G. (Wagner) Thompson. Loving father of Diane Smith, her husband David of Shrewsbury, Judith Richards, her husband Kevin of Woburn and Carol Pietryk, her husband Steven of Glenallen, VA. Dear brother of Gerald Thompson, his wife Patricia, of CT, and the late Bertrand, Richard and Robert Thompson, and Shirley Kalwat and Gertrude Bury. Cherished grandfather of Kevin Richards Jr., his wife Kari of Peabody, Laurie Richards of Arlington, Gary Pietryk of San Diego, CA, James Smith of Denver, Co, Colin Pietryk of Harrisonburg, VA and the late Stephen Smith. Devoted great-grandfather of Matthew, Jacob and Jessica Richards. A Funeral will be held from the Lynch-Cantillon Funeral Home, 263 Main Street, Woburn on Wednesday, November 28th at 10 a.m. followed by a Funeral Mass in St. Barbara’s Church, 138 Cambridge Road, Woburn, at 11. Burial to follow in Woodbrook Cemetery. Relatives and friends are respectfully invited to calling hours, Tuesday evening, 4 – 8 p.m. Remembrances May be made in Ray’s memory to Perkins School for the Blind, 175 North Beacon Street, Watertown, MA 02472 or to the Salvation Army 1424 Northeast Expressway, Atlanta, GA 30329. For directions or to leave an online condolence, story or message please visit www.lynch-cantillon.com or find us on Facebook under Lynch-Cantillon Funeral Home. 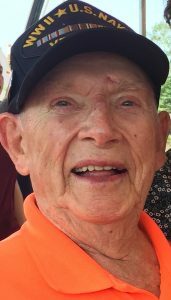 Raymond (Ray) W. Thompson, 90, of Woburn, MA, died peacefully, Friday, November 23rd, at Woburn Nursing Center. Along with his loving wife and best friend of 70+ years, Anne, Ray is survived by his three daughters and the “great guys” they married, Diane Smith, her husband David of Shrewsbury, Judith Richards, her husband Kevin (Bill) of Woburn and Carol Pietryk, her husband Steven of Glen Allen, VA, dear brother Gerald Thompson, his wife Patricia, of Bristol, CT, cherished grandchildren Kevin Richards Jr., his wife Kari of Peabody, Laurie Richards of Arlington, Gary Pietryk of San Diego, CA, James Smith of Denver, CO, Colin Pietryk of Harrisonburg, VA and devoted great-grandchildren Matthew, Jacob and Jessica Richards. He was predeceased by siblings Bertrand, Richard and Robert Thompson, Shirley Kalwat, Gertrude Bury and infant grandson Stephen Smith. Born in New Britain, CT, Ray was a son of the late Jenny (Larson) and Bertrand Thompson, Sr. He was educated in Connecticut and a 1945 graduate of New Britain Senior High School. Upon graduation, Ray enlisted in the US Navy and served his country proudly during WWII. One of the highlights of his naval career was accompanying Admiral Richard E. Byrd on Operation Highjump, crossing the equator on the way to the South Pole, 1946-1947. He served as an original crew member onboard the USS Philippine Sea CV47 — the first aircraft carrier to cross the Antarctic circle — where he was given the honor of becoming a member of the Order of the Penguin. He was honorably discharged in 1949. For nearly 40 years, Ray was employed as a licensed elevator mechanic, having maintained and repaired elevators and escalators for Westinghouse Elevator and Stanley Elevator until he retired in 1988. Ray always enjoyed working … but he enjoyed retirement, too. In retirement, he spent time golfing and summering in York Beach Maine at Camp Eaton, where he was involved with organizing and running many social functions at their “second home”. He loved spending time at his children’s summer homes in New Hampshire and Maine. Over the years, Ray was also on many reunion committees for his two Naval Ships, the USS Philippine Sea & the USS Bordelon, organizing trips across the US for USMC and Navy veterans of those two ships. Sometimes you could find Ray in his woodworking shop at their home, making toys, decorations, and other home goods which have been widely distributed to both family and friends with the “Made by Ray” label. Ray loved to read, especially historical non-fiction and detective stories. Ray enjoyed ‘treating’ his family to a meal anytime more than two relatives were gathered. Ray always enjoyed his own home made fish chowder, Maine lobsters, Chinese food and Mai Tais. Ray enjoyed playing and teaching others to play board games, especially cribbage. He taught his wife, all of his children, grandchildren, and great-grandchildren to play; though, Anne still wins most games. Thanks Ray for going to the dance! A Funeral will be held from the Lynch-Cantillon Funeral Home, 263 Main Street, Woburn on Wednesday, November 28th at 10 a.m. followed by a Funeral Mass in St. Barbara’s Church, 138 Cambridge Road, Woburn, at 11. Burial to follow in Woodbrook Cemetery. Relatives and friends are respectfully invited to calling hours, Tuesday evening, 4 – 8 p.m. Remembrances May be made in Ray’s memory to Perkins School for the Blind, 175 North Beacon Street, Watertown, MA 02472 or to the Salvation Army 1424 Northeast Expressway, Atlanta, GA 30329. For directions or to leave an online condolence, story or message please visit www.lynch-cantillon.com or find us on Facebook under Lynch-Cantillon Funeral Home. My deepest sympathies to Dave and Diane as well as the entire Thompson clan. Losing a father, as many of us well know, is one of life’s most deeply felt emotional trials. I had the pleasure of meeting Ray Thompson on a few occasions – he was clearly a great representative of The Greatest Generation. Janet and I feel both regret that we could not be there to personally express our sympathies to the Thompsons and the Smiths. I only had the pleasure of meeting Mr T once, after the services of Aaron Gangi. His interaction with the Gangi kids was that of a grandfather, and his affection for them was apparent. He was a lovely gentleman, and as he was leaving, he reminded me to tell them “143”! 143, Gangis! When one journey ends another begins, and this will be a better one for Ray. On behalf of all the Loxsoms, Henry included, our thoughts and prayers go out to Anne and family. Mr. T. was not only a neighbor to we Gangis; he was also another gramp. During the holidays, we’d all hang out on his front lawn in the Santa sleigh, listening to the musical accompaniment he put on his outdoor speaker. He and Anne would frequent our house many times during the year, too, for holidays, birthdays, cookouts, and just days we were all together. He made my family a kitchen table that we cherished for all the years until we each moved out on our own. I still remember him making us toys when we were very young, presenting them with a grin and a flourish. I know that words often fall short of conveying true feelings, but please accept my most deep sympathies. Mr. T. was always kind and considerate of each of the Gangi children as we grew up on Day Circle, and his passing is felt by many in the neighborhood. I will always have very fond memories, as do all of you, all of which, no doubt, will serve to help during our time of healing. We are so sorry for your loss. Ramón and I feel blessed that we had the opportunity to meet you both on the Alaska Cruise. What a fantastic time we all had and who could forget all those bright orange shirts. Heaven has added a wonderful person. We are so sorry to learn of Ray’s passing. He was a wonderful and kind person with a big heart and a warm smile. He will be deeply missed. Our deepest sympathy to his lovely wife Ann and family. So sorry to hear of the loss of your Dad. It’s never easy. Be joyful that you had him as long as you did. Our thoughts and prayers are with you. It has truly been a blessing to visit Ray and Ann with Holy Communion. They are truly the “salt of the earth.” Thank you for welcoming me and sharing your life with me. I am sorry for the loss of your beloved father/husband/grandfather. He was a warm, caring and funny human and treated me and my children like family. I have decades of wonderful memories shared with both Mr/Mrs T and I’ll cherish them all until I die. Mr. T was a great man. More like family than merely a neighbor. He will be immensely missed by all who had the pleasure of knowing him. My sincerest condolences to his family. Thanks for being you, Mr. T. RIP.